Dr. Arthur Ammann's career has spanned many fields including physician, researcher, activist, advocate, philanthropist, Clinical Professor of Pediatrics and Global Health Sciences Affiliate at the University of California. Early in his 40-year medical career, Dr. Ammann discovered several new genetic immunodeficiency diseases and performed the clinical trials that resulted in FDA approval of the first pneumococcal vaccine which prevented bacterial pneumonia and meningitis. That discovery has led to the saving of millions of lives, especially of children and the elderly. In 1982, Dr. Ammann described two of the three ways that HIV is transmitted, including the first cases of transmission of AIDS from mother to infant and the first blood transfusion associated AIDS patients. Arthur Ammann has been featured in media outlets from Time Magazine to Frontline. He has authored over 450 scientific papers and book chapters, and authored three books. In addition to delivering national lectures and courses on ethics, immunology and HIV/AIDS, Dr. Ammann has taught in Africa, Asia, and South America. 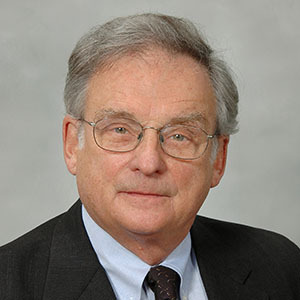 He has served with many organizations including the National Institutes of Health Advisory Committees, Congressional Testimony on AIDS and Children, AIDS Planning Committee of the Institute of Medicine of the National Academy of Sciences, and the Presidential Advisory Committee on AIDS Drug Development. Dr. Ammann has received honors and awards from more than 60 national and international organizations including the U.S. Surgeon General Award for Research, the U.S. Public Health Service Fellowship Award, the Heroes in Medicine Award by the International Association of Physicians in AIDS Care, Purpose Prize Fellow Encore Career, the Humanitarian Service Award from Wheaton College and the Outstanding Alumnus Award from New Jersey College of Medicine. In addition to his book Lethal Decisions, Dr. Ammann is also the author of Women, HIV, and the Church - In Search of Refuge and (in)Visible. From Obscure to Valuable. His blog Ethics in Health was established to uncover and discuss ethical concerns that are all too frequently obscured by the Academy.